§ 377. In the first place, the judicial power of the United States rightfully extending to all such cases, its judgment becomes ipso facto [by that fact or act] conclusive between the parties before it, in respect to the points decided, unless some mode be pointed out by the constitution, in which that judgment may be revised. No such mode is pointed out. Congress is vested with ample authority to provide for the exercise by the Supreme Court of appellate jurisdiction from the decisions of all inferior tribunals, whether state or national, in cases within the purview of the judicial power of the United States; but no mode is provided, by which any superior tribunal can re-examine, what the Supreme Court has itself decided. Ours is emphatically a government of laws, and not of men; and judicial decisions of the highest tribunal, by the known course of the common law, are considered, as establishing the true construction of the laws, which are brought into controversy before it. The case is not alone considered as decided and settled; but the principles of the decision are held, as precedents and authority, to bind future cases of the same nature. This is the constant practice under our whole system of jurisprudence. Our ancestors brought it with them, when they first emigrated to this country; and it is, and always has been considered, as the great security of our rights, our liberties, and our property. It is on this account, that our law is justly deemed certain, and founded in permanent principles, and not dependent upon the caprice, or will of particular judges. A more alarming doctrine could not be promulgated by any American court, than that it was at liberty to disregard all former rules and decisions, and to decide for itself, without reference to the settled course of antecedent principles. § 378. This known course of proceeding, this settled habit of thinking, this conclusive effect of judicial adjudications, was in the full view of the framers of the constitution. It was required, and enforced in every state in the Union; and a departure from it would have been justly deemed an approach to tyranny and arbitrary power, to the exercise of mete discretion [to dispense or allot justice, punishment, or harsh punishment solely according to the opinion of an individual judge or court without regard to the law, legal guidelines, or established precedent], and to the abandonment of all the just checks upon judicial authority. It would seem impossible, then, to presume, if the people intended to introduce a new rule in respect to the decisions of the Supreme Court, and to limit the nature and operations of their judgments in a manner wholly unknown to the common law, and to our existing jurisprudence, that some indication of that intention should not be apparent on the face of the constitution. We find, (Art. 4,) that the constitution has declared, that full faith and credit shall be given in each state to the judicial proceedings of every other state. But no like provision has been made in respect to the judgments of the courts of the United States, because they were plainly supposed to be of paramount and absolute obligation throughout all the states. If the judgments of the Supreme Court upon constitutional questions are conclusive and binding upon the citizens at large, must they not be equally conclusive upon the states? If the states are parties to that instrument, are not the people of the states also parties? § 381. The argument, therefore, arising from a possibility of an abuse of power, is, to say the least of it, quite as strong the other way. The constitution is in quite as perilous a state from the power of overthrowing it lodged in every state in the Union, as it can be by being lodged in any department of the federal government. There is this difference, however, in the cases, that if there be federal usurpation, it may be checked by the people of all the states in a constitutional way. If there be usurpation by a single state, it is, upon the theory we are considering, irremediable. Other difficulties, however, attend the reasoning we are considering. When it is said, that the decision of the Supreme Court in the last resort is obligatory, and final “in relation to the authorities of the other departments of the government,” is it meant of the federal government only, or of the states also? If of the former only, then the constitution is no longer the supreme law of the land, although all the state functionaries are bound by an oath to support it. If of the latter also, then it is obligatory upon the state legislatures, executives, and judiciaries. It binds them; and yet it does not bind the people of the states, or the states in their sovereign capacity. The states may maintain one construction of it, and the functionaries of the state are bound by another. If, on the other hand, the state functionaries are to follow the construction of the state, in opposition to the construction of the Supreme Court, then the constitution, as actually administered by the different functionaries, is different; and the duties required of them may be opposite, and in collision with each other. If such a state of things is the just result of the reasoning, may it not justly be suspected, that the reasoning itself is unsound? § 384. There would be neither wisdom nor policy in such a doctrine; and it would deliver over the constitution to interminable doubts, founded upon the fluctuating opinions and characters of those, who should, from time to time, be called to administer it. Such a constitution could, in no just sense, be deemed a law, much less a supreme or fundamental law. It would have none of the certainty or universality, which are the proper attributes of such a sovereign rule. It would entail upon us all the miserable servitude, which has been deprecated, as the result of vague and uncertain jurisprudence. Misera est servitus, ubi jus est vagum aut incertum [Latin: It is a miserable slavery where the law is vague or uncertain]. It would subject us to constant dissensions, and perhaps to civil broils, from the perpetually recurring conflicts upon constitutional questions. On the other hand, the worst, that could happen from a wrong decision of the judicial department, would be, that it might require the interposition of congress, or, in the last resort, of the amendatory power of the states, to redress the grievance. The online formatting for this version of Joseph Story’s Commentaries on The Constitution of the United States, to include clarifying explanations and definitions (set off in brackets & gray text): Copyright © 2011-2019 Steve Farrell. 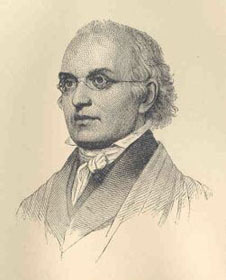 The copyright for the text of Joseph Story’s Commentaries is held in the Public Domain.